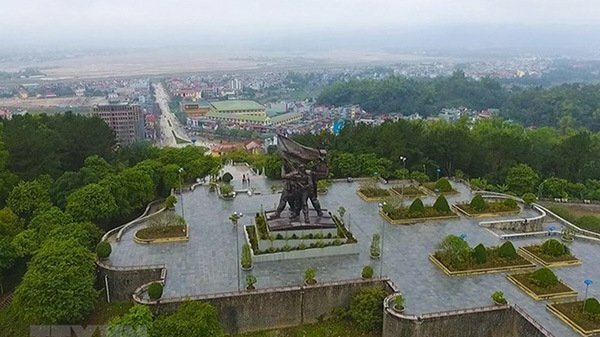 The Office of the Government has announced the conclusions reached by Deputy Prime Minister Vu Duc Dam at a meeting with the Dien Bien Provincial People's Committee on the project of preserving, embellishing and promoting the values of the Dien Bien Phu battle site, a Special National Historical Relic, with vision until 2030. The project aims to express the deep gratitude of the Party, State and people of Vietnam to the heroes and martyrs who sacrificed their lives for the Dien Bien Phu victory. Deputy Prime Minister asked the Dien Bien Provincial People's Committee to complete the project to report to the Politburo and submit it to the Prime Minister in the fourth quarter of 2018. Based on the functions and tasks, the Ministry of Culture, Sports and Tourism and the Ministry of Defense were also asked to coordinate with the Dien Bien provincial People's Committee in completing the project. The Dien Bien Phu battlefield complex features 45 relic sites, of which eight were put into operation to serve tourists. They include the Museum of Dien Bien Phu Victory, a victory statue, A1 Hill, Him Lam relic site, the command tunnel of French General De Castries, the Muong Phang relic site, a monument featuring soldiers pulling artillery by hand, and a parade field to commemorate the great victory.